Win £150 off your next SWK holiday! We love seeing your SWK snaps so we thought we’d ask you to share your SWK holiday pics from 2016 on our Facebook page for the chance to win a £150 voucher to spend on your next SWK holiday. There are also 2 runners up prizes of £50 SWK holiday vouchers to be won. 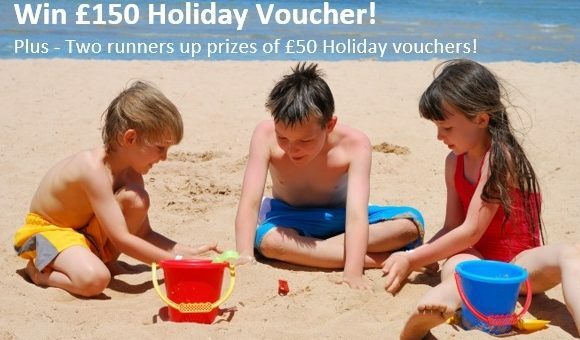 £150 and £50 holiday vouchers to be redeemed against Single With Kids holiday subject to availability on selected holiday. Closing date for entry will be 1st October 2016. After this date no further entries to the competition will be permitted. -.No responsibility can be accepted for entries not received for whatever reason. Winner will be determined by number of likes for their photograph. In the event of a draw the £150 voucher will be split between winning entries into equal denominations. No purchase necessary and no entry fee to enter this competition. Entering any photograph is considered as acceptance that these photographs can be used by Single With Kids. Employees of Single With Kids or their family members or anyone else connected in any way with the competition or helping to set up the competition shall not be permitted to enter the competition. Winners will be chosen as a result of a popular vote conducted via social media sites as measured and recorded by Single With Kids. The winner will be notified by email and/or letter within 28 days of the closing date. ← Single dads – what’s it really like? you tell us.